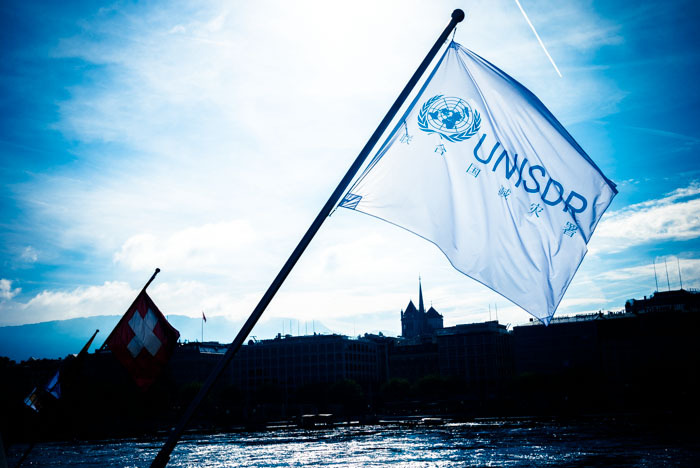 Almost three weeks ago to the day was my last day with UNISDR after a very prosperous and successful three and half years of work with a small yet important entity within the United Nations. The organization was hoping that I would continue, but I decided that it was time for a change and find new avenues for growth. It’s not my intention for job hopping, but then again with the instability of economies, the chance to grow, and creative opportunities, there’s a lot to be said about hopping around like a Millennial. Now that I’ve had a couple of weeks to reflect, it’s been a whirlwind since joining the organization’s communication unit in September 2010 to direct and coordinate basically anything to do with web or online communications. While I’m definitely proud of pulling together and standardizing UNISDR’s global corporate website within 6 months of joining, which was on the shelves or in discussions for 5 years before that, I’m ecstatic about how far we’ve come in terms of branding the organization and being more visible in the public eye. This included redesigning the logo to be more in-sync with overall UN brand, rolling-out a corporate visual identity guide, supporting and driving the 4-year Step Up initiative for the International Day for Disaster Reduction (Oct 13), and coming up with online brand and communication strategies for promoting and getting people engaged in the Global Platform for Disaster Risk Reduction, particularly for 2011 and 2013. All the while, social media, content development, infographics, and brand strategies were regular vocabulary in my work with the organization – and with a bit of convincing, these are also terms that my colleagues are starting to share and discuss. 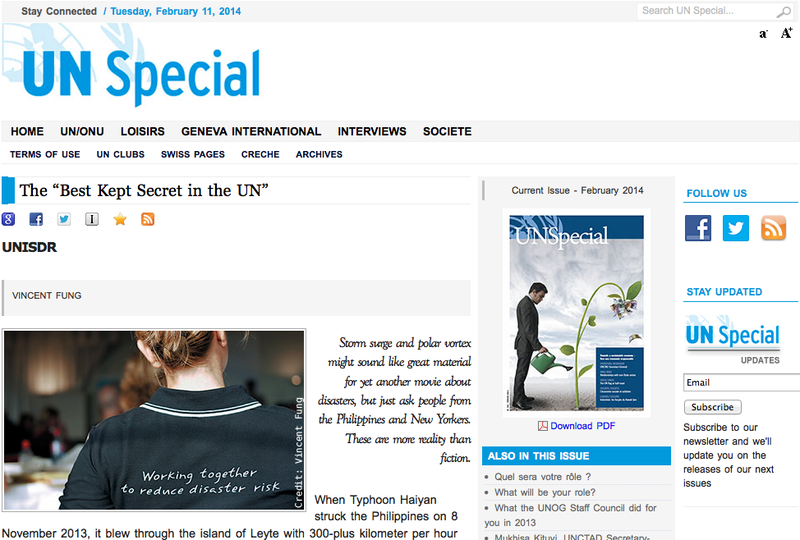 It wasn’t really a surprise that right up until the last day of work, I was busy… and this included writing a farewell article about UNISDR, for the February 2014 edition of the UN Special, a monthly magazine produced for the international community in Geneva, which I just saw for the first time today. Just before I left, the Director told me that I should come “home” after a few years… who knows, I might just take her up on her offer.